Update, May 8: Apple Stores continue to get shipments in daily, they go on sale first thing in the morning. These tend to sell out very quickly, you should call in the morning to verify stock before showing up but generally speaking, the earlier you get there the better. If you’re looking for a specific model, Apple is telling customers to “check back every morning” as shipments arrive frequently. From personal experience, it’s very hard to get one on the weekend unless you go early in the morning. Update 2: Some stores reportedly have limited stock of select models but they too sell out quickly, check iPad 2 stock in your area by calling your local stores! Variations of the Verizon iPad 2 seem to be the most easy model to find. Update 3: Some Toys ‘R Us locations are now selling the iPad 2 WiFi models, these are likely sold out so call to verify. Update 4: Online orders through the Apple Store are now down to 1-2 week delivery time, if you don’t want to deal with calling and waiting in line, this may be the way to go. The demand for iPad 2 is through the roof which is going to make getting the tablet in the first few weeks a challenge. iPad 2 has sold out almost immediately in many stores, and the most popular and hardest to get model is iPad 2 16GB in both colors. If you aren’t picky about color or the exact model you get, you may still be able to get an iPad 2 in this period of highly constrained supply. Here’s what we currently know about the availability of iPad 2. We’ll update this list as we get more information. 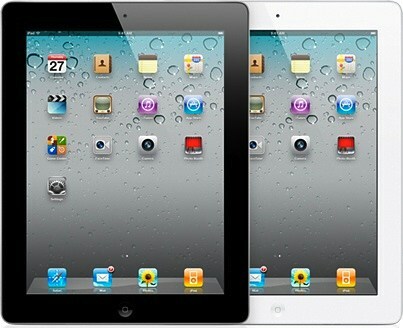 Most stores are sold out out all iPad 2 models, call ahead to verify stock. Availability numbers differ, stores are the same as our “where to buy” page. Of course, if you don’t want to get caught up in the initial launch hype all you need to do is wait a month or two, and you should be able to just walk into any Apple Store or retailer and get a new iPad without a hassle. I work near the galleria Apple store, there’s a huge line already I would guess at least 50 people and some have lawn chairs, LOL! Not how I would want to spend my Friday, but to each their own. I was thinking about getting in line around 3 today, but after seeing online that there are already 200 people at the NYC stores there’s not a chance. I’m gonna be in the U.S. between the 4’th and 9’th of April. What do you reckon my chances are of walking into an apple store and pick up a (64GB) iPad at that time? Probably pretty good. The hype should die down by then. I guess there’s no use in complaining. This is the first article I’ve found that confirms that the first supply already ran out. Only its not really telling the whole story. The Target stores in Austin didn’t get ANY for the March 11th launch and each of the Wal-mart stores got 1 — and typically it was the 64 AT&T or Verizon. I didn’t even bother to ask how many BestBuy got — most likely only 1 or 2. Its stupid really. I’m thinking I don’t really want one now. I bought into the hype and now its just not worth the dissappointment or work to get one. Agreed. I’ve been an Apple customer since 1987, and only recently have they created this frenzy around their products. I’m pleased the company is returning to their proper glory, but disappointed at the market tactics employed at the expense of their user base. Just left the Indianapolis store where they got zero delivered again. Longtime apple user, fan, what ever, but they screwed the pooch on this one. You can see the delay grow on the site. Two different stores in the Boston?Providence area confirmed last night they’d have stock this morning and would be opening at 9….2nd person at one of them, and they had none, called the other store, they had none. Grrr. I had the same problem as Courtney and Jenn. Turned up before 9am this morning in Connecticut to find a 100-person line snaking round the store. 30 min. later a rep comes out telling us their iPad shipment won’t come today after all. I’m with many of you. I was all pumped up about upgrading. (I already have the iPad 1.) But the delays allowed me to take a deep breath and have cooled my interest. That is a good thing. An emotional buy is not smart. I am not to trilled that a company like Apple is making their loyal fans ‘jump thru hoops’ – I am a little too old to be camping an Apple store every other day after I call and am told that the store will open an hour earlier. I did that twice now and still have not got the new Ipad2. I also do not believe that the IPad2 is actually limited now – I think this is targeted publicity only. If they were really out of stock, no Apple Store would be getting any IPad2 every other morning at all. Best Buy is doing a pre-sale. They are taking deposits for when a shipment does come in. If you go to the store and give a $100 deposit, they will give you a best buy gift card and call you when a shipment comes in and you will have 48hrs to pick it up. The Best Buy by me hasn’t gotten any shipments yet so I’m hoping one will come soon. This is just a marketing gimmick by Apple to create buzz. I suggests everyone just wait. All the stores will be fully replenished once people stop talking about how hard it is to get an iPad2. C’mon, guys, you just changed the date to today in the article and even didn’t bother to change the text. …I’m sure its because nothing has changed…I’ve got my name down at best buy for a 16g white, put $100 down and I’m number 3 on the list. I did this on friday mar 11 at 4:45 and still haven’t heard anything. I checked in with them on wed and they still haven’t received any shipmints except for the first one on friday…I’m thinking we will be waiting awhile. Err on the list at best buy and haven’t gotten a call yet! Been a week and a day now! I just got ipad2 in Burlingame apple store. They usually have ipad2 on Tuesday and Wed morning. If you can go around 7am, you will be pretty sure can get one or two. Good luck everyone! I got mine today! Like I said above I had my name down at best buy and never heard a thing. I got to my local apple store this morning at about 8 they handed out tickets at 9 and I bought it at 10….best buy hasn’t even gotten any shipments they said they will refund my 100 gift card…seriously if you are looking to get one go to apple..makes sense they would stock their stores first! LOL. Stopped waiting for and IPad2 today and bought a Galaxy Tab instead. A friend just came back from the Indianapolis store and he was told he’d have to come back in the morning, they “might” get a delivery. So I went down to the store and asked for the manager. I stated that I was buying a lot today so I wanted the most experienced person to help. I stated I wanted to buy a 27″ Imac, they brought one up to me, 2 iphone 4’s, an itouch, an 17″ imac pro, I grabbed 2 usb mikes, I had them opening covers for the iphone until found what I wanted. (table was covered in open cases). At this point i had 3 of them running all over. Then i stated I’ll take an Ipad 2…..to which they replied they didn’t have any. I said “ok, forget the order, i’ll come back some other time”. to which they replied “oh wait we might have one in the back and they brought one up. I said “cancel the order, ill just take the Ipad…..
Actually, Apple is having supplier problems. Nothing to do with marketing hype or trying to build anticipation. Impulse shopping is one thing they WANT because that means the price point is right to capture all you people who cannot wait and think about why you think you need a oversized iphone with no connectivity capability other than a USB cord. Anyways, With the earthquakes in Japan, I wouldn’t count on Apple being able to ramp up their production to meet demands. You might think, ‘oh they get these parts from China”..you’d be right in that systems come from China, but a lot of the proprietary components come from more IP friendly countries like Japan. Anyways, other companies are now pushing hard to take advantage of this inability for Apple to provide the volume, so you will likely see a lot of advertisements come out soon for new tablets and other Ipad like computers. You might even realize that for all the Hype, it’s really just a tablet computer. I hear that Motorola is coming out with a tablet pc that is the same size as the IPAD 2 but actually lighter! and has expandability ports (i.e. you can plug it into your tv via a special cable that takes that goes from a headphone like hole to a monitor like cable that you can plug to another monitor or tv (comes in HDMI as well). Also, it will have these little slide outs that allow you to plug in USB, DVD drive, external harddrive, printer etc. All the connectivity of a PC without having to get bigger or heavier. Also it will have a replaceable screen so that if it breaks, you can simply slide the screen off, unplug a cable and replace it with another one. They did this so they can actually sell screens that can be larger than the body or that have different resolutions as well as colors. AND this is the best part, the new Motorola tablet pc (name to be released before May long weekend) will have a processor that is twice the speed of the IPAD 2, and will also be able to run all microsoft applications and existing PC software! and from what I understand will be priced at only $100 higher than the IPAD 2, and will come at all the same base memory levels (16GB, 32GB as well as a staggering for it’s size 80GB!) Let’s face it, Apple didn’t forecast demand properly on launch, they didn’t plan accordingly with their suppliers, and now they are scrambling to catch up, but as others have seen this coming, they have planned accordingly based on how APPLE screwed up the Ipad launch, and they didn’t take advantage then, but now they will, they had been waiting for the launch of the IPAD2, and to let people feel the pain of not being able to buy one, and now they are ready to launch one of the largest marketing campaigns ever. THey are secretly stocking stores with more than enough to satisfy the IPAD 2 demand, and I personally will be the first to buy this awesome new product that will litteraly blow the ipad 2 out of the water! And you believe in the easter bunny too….. It is totally unaceptable that Apple won’t ship to an army post office box (APO) (overseas). I’m in the military living in Germany (23years active service) and can’t order an Ipad 2 because I am serving my country overseas! What the heck? I don’t mind the wait for shipping if Apple will change its sales policy…that is what we [military] do in foreign postings (wait)! I really wanted one, now April 20th and still none are available in my area, got sick of waiting and gave up, purchased a Motorola Xoom instead. Bad luck apple, your marketing tactics lost you a customer. I found mine with their Walmart inventory search. I plan to travel to the USA next week (23-28 May), Do you think there still be shortage of iPads? Last news where from 8 of May and maybe the situation has changed a little since then. I hope so. I plan to buy the Wifi 32 or 64, I don’t mind black or white.